Dubai: Dubai stocks witnessed broad-based aggressive selling on Tuesday ahead of the fourth quarter result season, triggering a near 1.5 per cent fall in the Dubai index. The selling started with Damac Properties and then engulfed other property stocks such as Emaar Properties. The Dubai Financial Market General index (DFMGI) closed 1.45 per cent lower at 2,490.55. This fall dashed hopes of traders, who had been nursing losses, thought the recent recovery of more than 5 per cent in the past 20 sessions would sustain for a longer period of time. “The outlook for DFM index remains firmly bearish and any recovery shall draw sellers at well-defined resistance levels. We shall head lower to the next support at 2,330,” Shiv Prakash, senior analyst with First Abu Dhabi Bank Securities, said in a note. 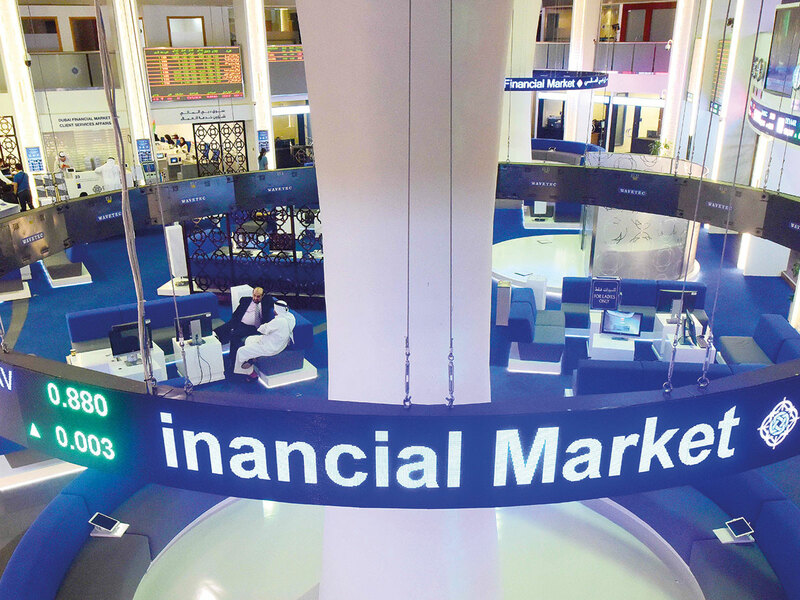 The Dubai Financial Market General index has been falling for the past three years, registering a fall of 50 per cent from the high of more than 5,000 in the last 36 months. In other stocks, Damac Properties closed nearly 10 per cent higher at Dh1.29. “We have been consistently advising traders to sell Damac on every bearish breakout. Traders may look to avoid the stock at the moment until we form bullish reversal pattern on the weekly chart,” Prakash said. Emaar Properties closed 1.51 per cent lower at Dh3.92. Dubai Islamic Bank closed 0.78 per cent lower at Dh5.10. Abu Dhabi was spared from the sell-off seen in Dubai as banks such as Abu Dhabi Commercial Bank, Abu Dhabi Islamic Bank and others were holding up. The Abu Dhabi Securities Exchange general index closed 0.32 per cent lower at 4,983.42. Abu Dhabi Islamic Bank closed 0.48 per cent higher at Dh4.21. “A close over Dh4.27 shall be considered bullish for ADIB and the stock may head towards the next target at Dh4.55 near term,” Prakash said. Abu Dhabi Commercial Bank closed 1.21 per cent higher at Dh8.39. Elsewhere in the Gulf, Saudi Arabia’s Tadawul index closed 0.93 per cent higher at 8,347.25. Al Rajhi Bank closed 1.32 per cent higher at 99.90 riyals. Alinma Bank closed 0.33 per cent higher at 24.06 riyals. The Muscat MSM 30 index closed 0.67 per cent lower at 4,279.87. The Kuwait all index closed 0.02 per cent lower at 5,473.63.